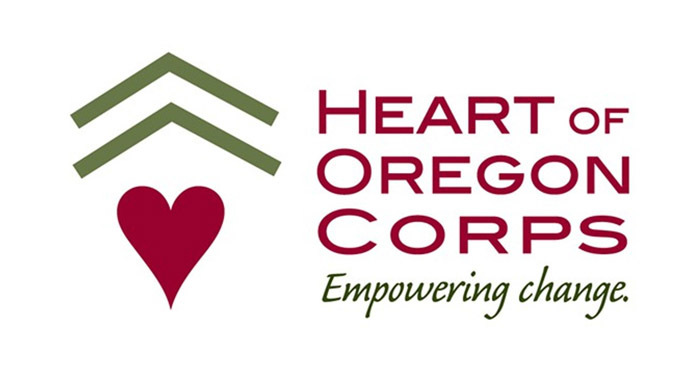 Heart of Oregon Corps (HOC) announces the start of a three-year Data Driven Impact Initiative to better capture and communicate the organization’s positive impact on the community it serves, as well as inform programming disparities and areas for refinement. This organizational capacity project addresses the need for data-driven decision-making and evidence-informed and evidence-based practices for programming that engages opportunity youth, a population that is historically difficult to track and report on. The Data Driven Impact Initiative is supported by a new staff position, the Data Coordinator, as well as highly specialized system consultants, an advisory Board Member, and a program staff workgroup. The three years will be broken into three phases: designing a regionally aligned system blueprint; developing system infrastructure and training users; and launching and sustaining the system to improve service and demonstrate impact. HOC is aligning its new data practices with two other regional organizations – TRACEs and Better Together – which, when assessed as a whole, can provide longitudinal data that will better indicate overall community impacts and inform how these organizations can best serve the community. The Data Driven Impact Initiative was made possible with major support from the M.J. Murdock Charitable Trust and the following Oregon Community Foundation donor-advised funds: Jerry and Corrine Nothman Fund, Robert W. and Nancy R. Chandler Fund, Robert W. Chandler Fund, Ward Family Fund, and An Anonymous Fund.